Published on Tuesday, August 9, 2016. This article appears in the August/September 2016 issue of American Craft Magazine. Zady also celebrates the people who make our clothes, telling their stories online. Launched in 2013, online retailer Zady has become a leader in ethical consumerism; it’s often referred to as the “Whole Foods of fashion.” The company started more as a design challenge than a business, however, with a problem to solve rather than a specific outcome to achieve. The problem? Fast fashion, which encourages waste, lowers labor standards, and has an alarming environmental impact. Zady’s solution? Map the fashion industry’s complex and often hidden production chain, all the way from farmers to designers; set researched-backed guidelines for sustainable production at each step; and produce and sell goods that follow these guidelines. But this paradigm shift is only one aspect of Zady’s mission. The company also emphasizes the story behind each product to help people feel more invested in what they buy. We talked to Maxine Bédat, co-founder and CEO, about how storytelling creates emotional connections to purchases – and helps people really embrace the clothing in their wardrobes. Zady makes the process behind fashion visible. How did you first become interested in how things are made? So it’s a little bit of a winding story. I started off as a lawyer. I was introduced to craft when I was working in Tanzania. I got in the habit of going to visit markets on the weekends. And there was this one really beautiful basket; it just had these really intricate designs. So I trekked down to the town where they were made. I saw this entire village, really, that was dedicated to this craft. I saw this man using his hands to weave these reeds together to create these intricate and amazing designs, and he didn’t have a drawing or anything in front of him. It was all just from memory. And I fell in love with how things were made – being exposed for the first time to real artistry. 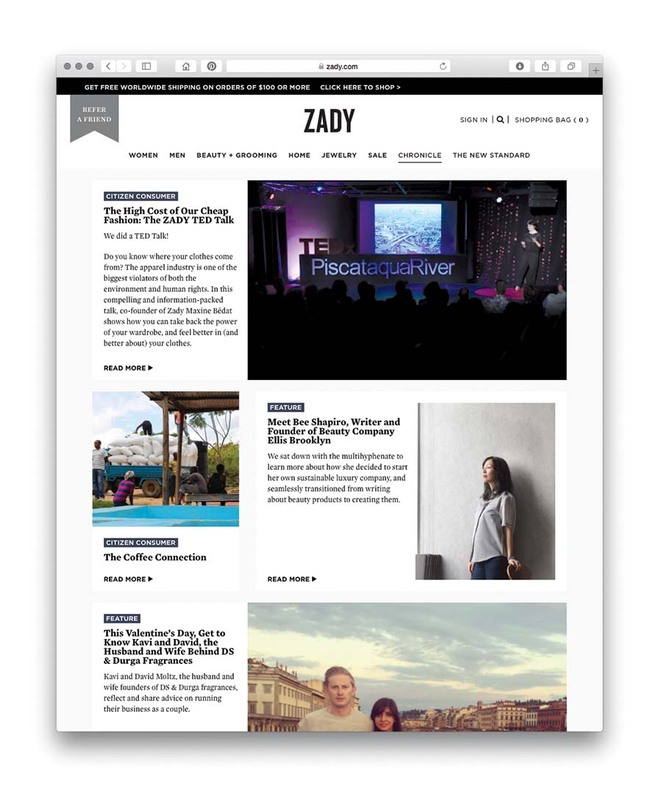 Was a storytelling component something you had in mind when you started Zady? So storytelling takes what is otherwise just something you bought and makes it something that you have an emotional connection to. Yeah. And that feels alive. That feels of the moment. As you’re putting on a pair of jeans, you can think about and feel connected to all those people who are at a mill doing something, or to the farmers who are growing that cotton, and feel all of that. That, to me, is super-exciting. What is a good first step for someone like me, who’s completely mystified by fashion’s supply chain yet wants to shop ethically? The one place that I always start is: Buy clothes that you love. It shouldn’t be “Never buy anything,” or “Feel guilty if you’re buying something.” No; it should be: If you love something, get that thing. Just don’t get the other things [that you don’t love], which are what most of us end up buying. So thinking about what we actually wear versus what we mindlessly buy, for example. Yeah. Think about the French – we’re always aspiring to be like them; I feel like there are always books about “How to dress like the French.” And that’s what they do: They know what looks good on them. There’s much more confidence in their style, and so they spend more money on fewer things. And it’s done. It’s easy. It’s not so stressful as we make it here. 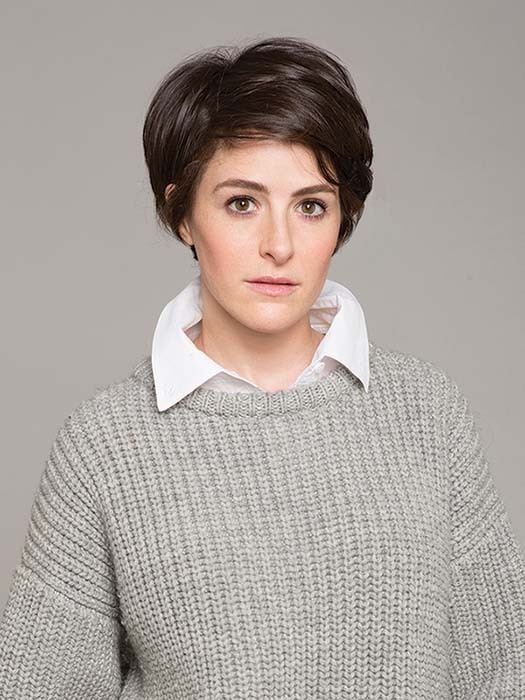 Megan Guerber is American Craft’s assistant editor. 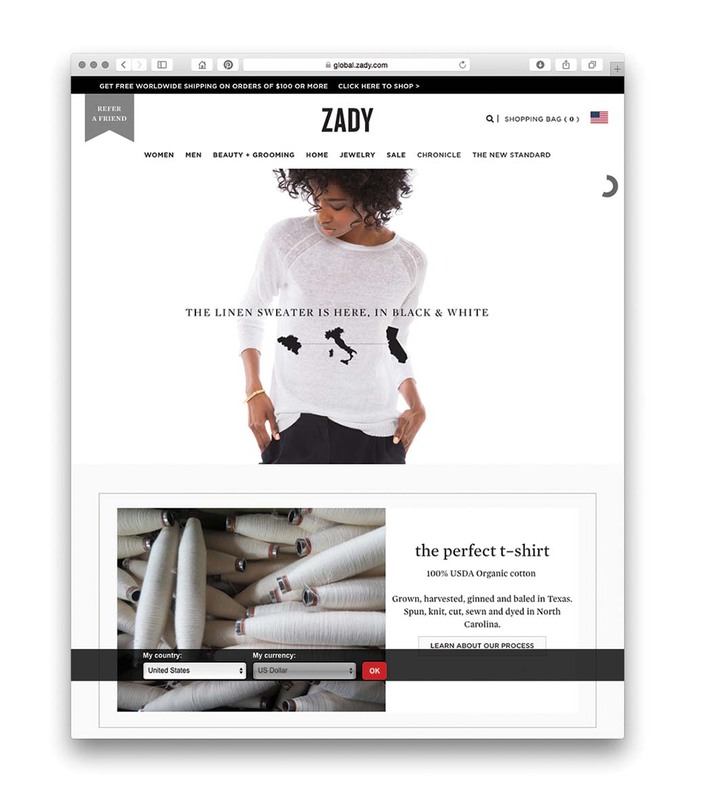 Online retailer Zady sets specific standards for sustainable fashion, both for its own line and others’. The company is dedicated to transparency, tracking and sharing each step of production. Zady co-founder and CEO Maxine Bédat on setting a new, sustainable standard for the fashion industry.